Drum roll please! 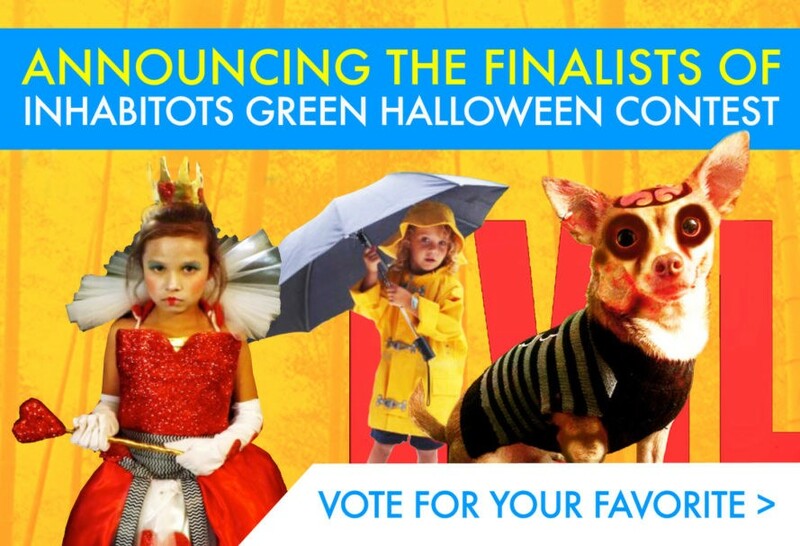 We're excited to unveil the finalists in Inhabitots' 2015 Green Halloween Costume Contest! This year we have quite a cast of characters vying for the prizes. Who will win the coveted readers' choice prize of a $100 gift certificate to Sarah's Silks -- and who will take home a reusable ChicoBag brimming with organic goodies from CLIF Kid and YumEarth? We need your help in choosing the winners! Herein is a sampling of some of our fabulous finalists, but head here to see a complete compilation of our 2015 finalists. Get a load of this adorable Back to the Future Doc Brown and DeLorean, these darling and clever Nesting Dolls, the cutest mail carrier and stamp we've ever seen, Bob the Builder & Scoop, and Humpty Dumpty complete with his brick wall... and so many more ingenious costume creations! You have all wowed us once again! Gather your friends and family and start casting your votes to see who will be awarded prizes and fame! 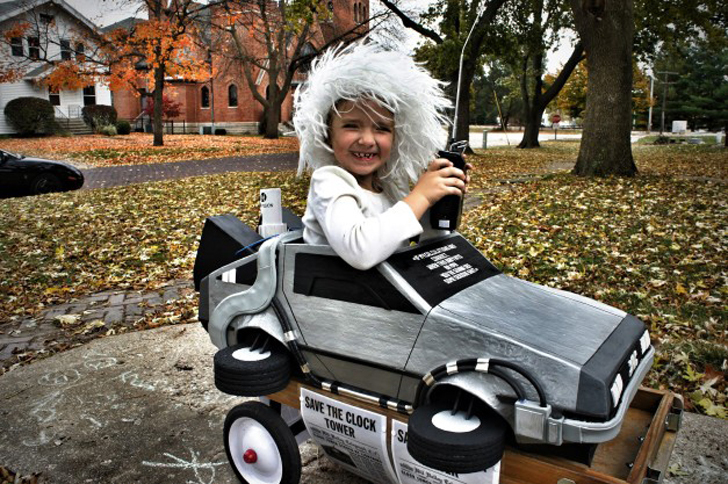 We know you’ll be as impressed as we are at the ingenuity and resourcefulness of this year’s green DIY costumes for kids. We need your help in crowning the winner and the runners-up, so don’t delay — it’s easy to cast your vote now! Get a load of this adorable Zombie Dog for Halloween. He's a "Good Dog Gone Bad"
We know you'll be as impressed as we are at the ingenuity and resourcefulness of this year's green DIY costumes for kids. We need your help in crowning the winner and the runners-up, so don't delay -- it's easy to cast your vote now! This child's queen of hearts costume is dramatic for all of you Alice in Wonderful fans out there!